The food retailer’s chief digital officer reveals how a brand can reach epic engagement results by having the right gamification strategy. Gamification as a powerful brand engagement tool is fast becoming evident to marketers, as food retailer, Donut King, recently discovered. The Donut Rush app, developed by specialist app agency, Millipede, was launched as an infinite running game, where the main characters – known as Donut Warriors – collect donuts as they race throughout a fantastical land. The aim of the game is to earn as many points as possible, redeemable within the game for vouchers. Customers can use these vouchers at Donut King stores nationwide for free donuts, and there’s even an option to enter a competition to win a year’s supply of donuts. Since its launch in March, the mobile game has gained top position in both Google Play and Apple App Store’s charts, often overtaking app giants such as Gumtree, eBay, Skype and Twitter. With more than 320,000 downloads, and more than 20 million minutes of engagement time, the app’s popularity and extensive gameplay saw it reach number one position in Apple’s App store and the Google Play last week. Chief digital officer of Donut King owner the Retail Food Group, Kevin Wordon, who headed up development of the app in collaboration with Millipede, said that in order for brands to enjoy the same level of success, marketers need to think about five key elements. A key way to keep millennial customers engaged was to keep the game immersive, fun and interactive, Wordon said. When creating an immersive experience, Wordon said it’s important to consider the incredible power to engage via an app compared to a traditional television advertisement. One of the key components of the Donut Rush app was that customers collected their prizes instore. By driving customers to redeem vouchers for free donuts, the app provided the added benefit of significantly increasing foot traffic into Donut King stores. In order to make a successful and engaging app, Wordon stressed it’s important to do your research and partner with the right tech agency. “You need to find a fantastic partner that supports you all the way,” he said. “We loved the team’s creativity at Millipede. We had a lot of good feedback on the level of support as well during the campaign period. Wordon said his team was incredibly proud of how smooth things went, an outcome of large amounts of forward planning and having a safe development window. 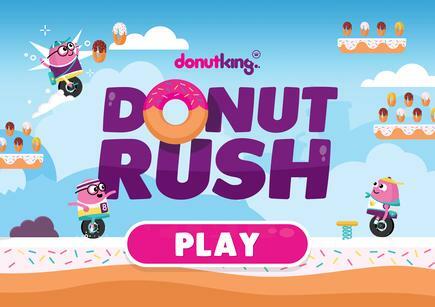 In addition to the incredibly high return on investment already gained by the development of Donut Rush, Wordon noted the significant increase in subscribers by over 300 per cent. According to Wordon, it's really important to have that loyal customer base when focusing on the lifetime value of customer and really provide them with communications that are meaningful and engaging to them as well. “So that certainly is driving traffic into our store was important but also growing our subscriber base is incredibly important,” he added. Wordon positioned gamification in a wider digital transformation strategy at RFG. RFG has also internalised a lot of its digital marketing function in an effort to increase its digital presence and continue to evolve its engagement strategy. 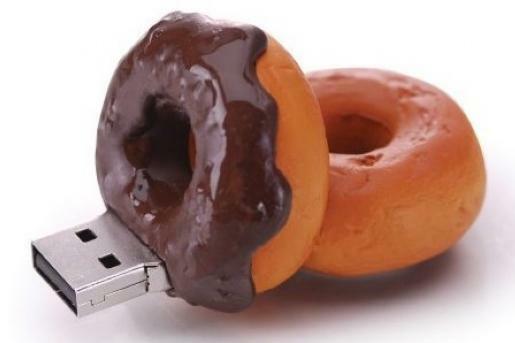 “We're also looking at other ways of getting our donuts out and distributed to our customers,” Wordon said. “There's a lot of homing taking place as more customers looking to get things delivered to their homes. So we’re looking at being more convenient to our customers as well as really advancing our mobile strategy for the brand too, which will lead into mobile loyalty and ordering as well.